Hey, hey, hey if my eyes do not deceive me, I do believe my fingertips are skimming across my laptop keyboard with ferocious enthusiasm. That must mean there’s light at the end of the tunnel. Yes things are starting to calm down on the ‘work’ front which means I can get back to blogging. It also means I seriously need to get back to meal-planning – because it’s been chaos here at Chez Wright. As good ole Sir Winston Churchill said ‘fail to plan, plan to fail’ or at least something along those lines. 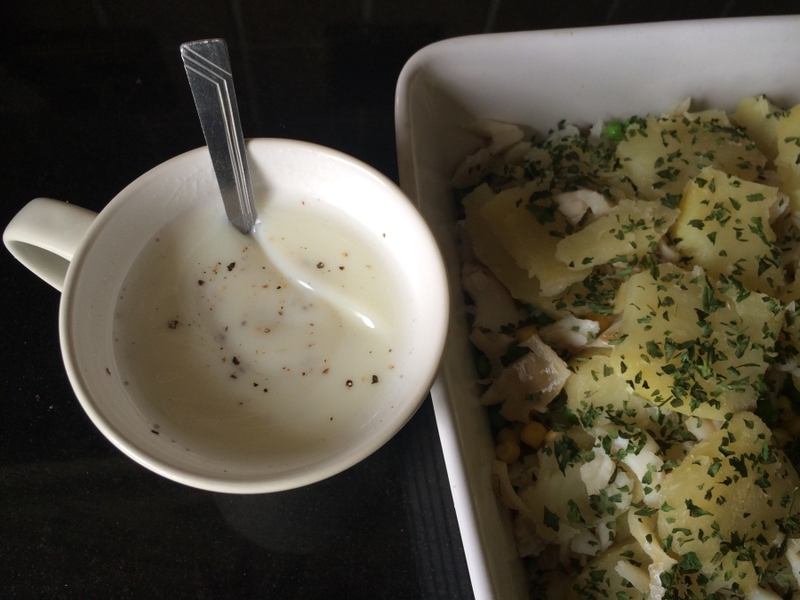 He’d be spot on – my lack of meal planning has led to some rather strange combinations of family meals. Fortunately I’m rather adept at ‘thinking outside the recipe’, but still it’ll be nice to return to a more mindful way of eating. Monday was a prime example of rustling up an emergency meal. Because even when things aren’t going to plan (and I have failed to plan) I do like to try to feed my loved-ones a balanced, nutritious meal. Knowing I had no time to go and grab fresh groceries, and being incredibly low on supplies, I crossed my fingers and opened my freezer door – all the time chanting to the high-priestess (or priest) of frozen food to sprinkle down some magical ice-dust and let me find a cold treasure trove of goodies. Treasure trove it was not – sufficient for a meal it was. 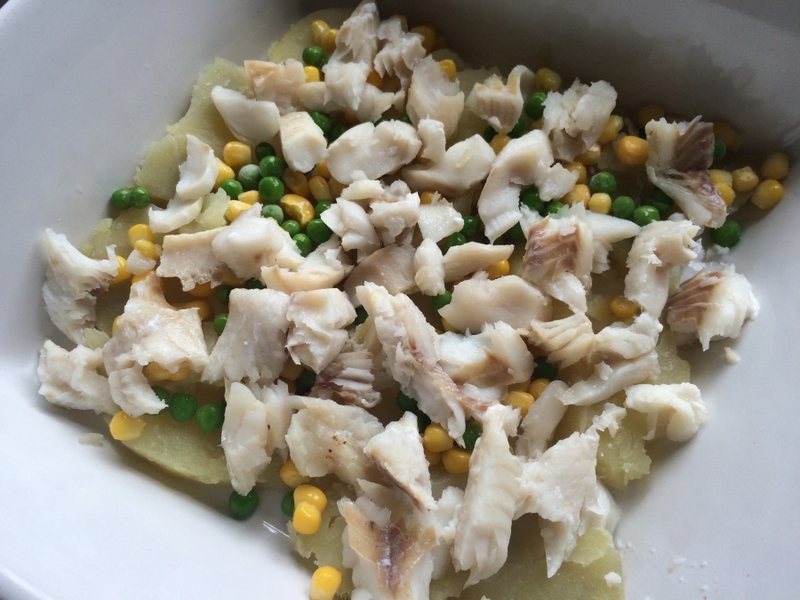 I found frozen white cod fillets, petit pois and sweetcorn. 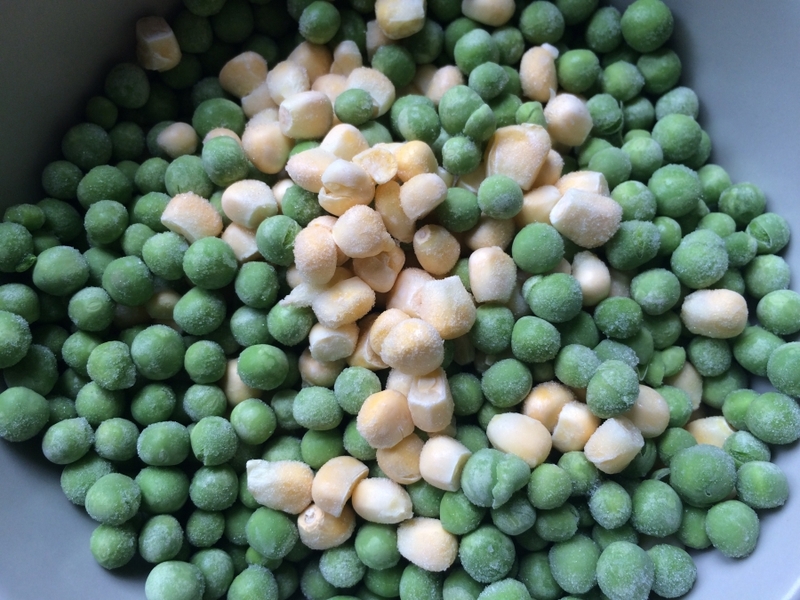 Place a mixture of frozen peas and/or sweetcorn in a breakfast sized bowl and put to one side. 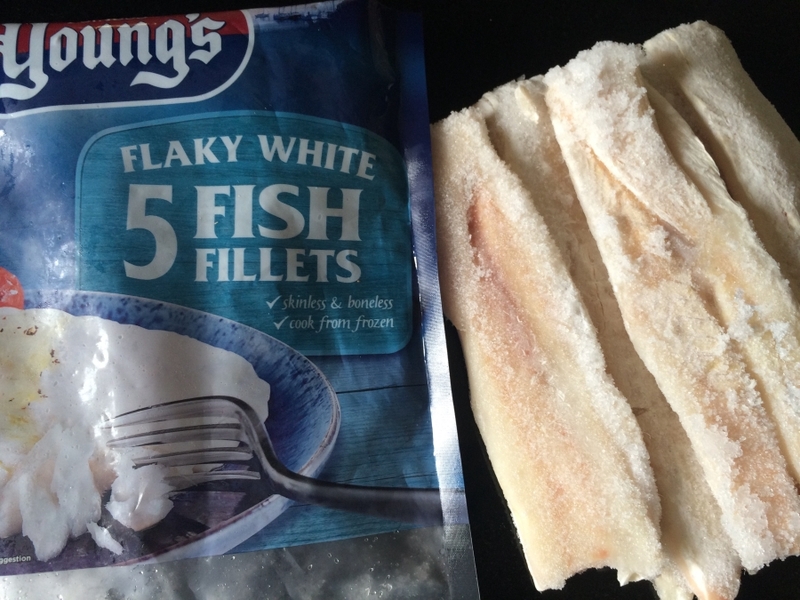 Cook the frozen fish as per the packaging guidelines. I baked mine in a moderate oven for 25 minutes wrapped in a foil parcel. While the fish is cooking, microwave the 4 potatoes in their skins. They are to be sliced so need to keep their shape rather than crumbling apart. 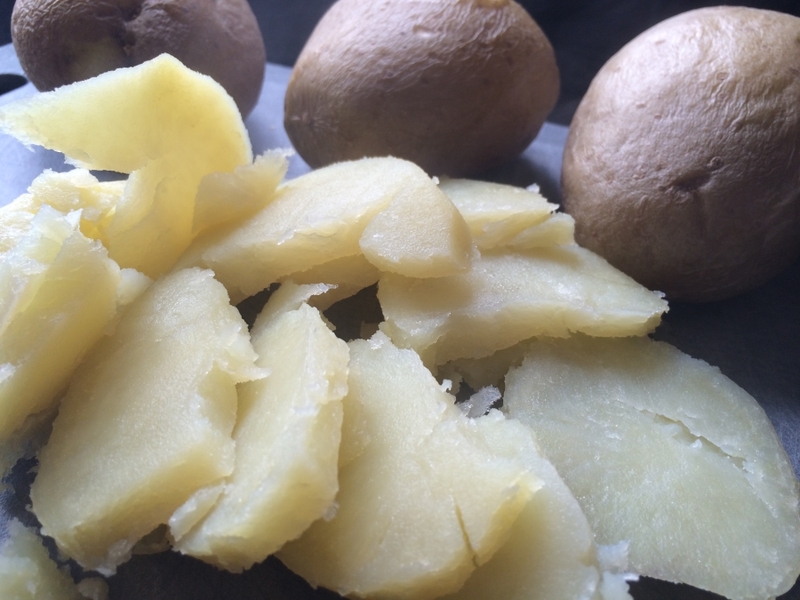 Once cooled slightly remove the skins carefully and slice thickly. Make up a mug of simple white sauce. Place 2 to 3 heaped teaspoons on cornflour in the bottom of a mug and add the same amount of cold milk. Mix thoroughly into a paste. Top up the mug (leaving approx 1/2 inch at the top) with cold milk and heat in a microwave until thick. This will take approx 2-3 minutes. Check after each minute, stirring to check consistency. Ensure the sauce does not boil over. Do not leave unattended. 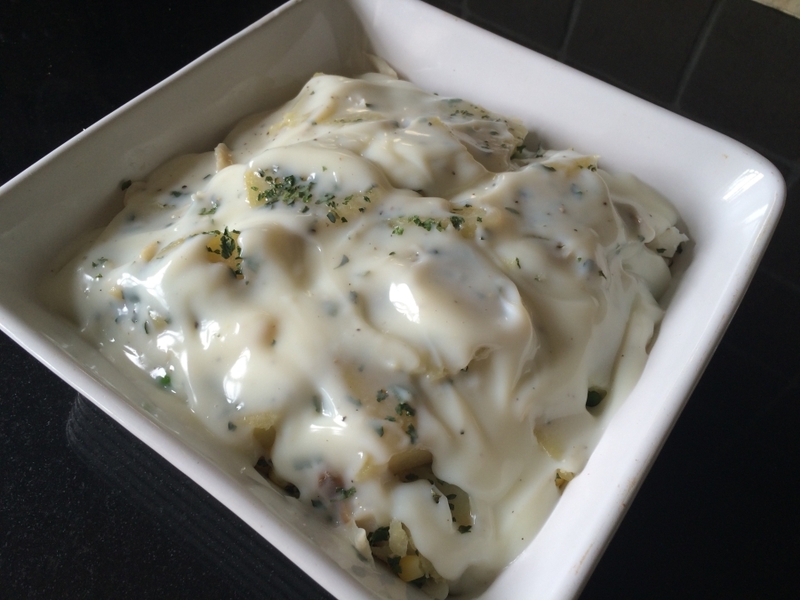 Once the fish is cooked start layering your cod and potato pie. 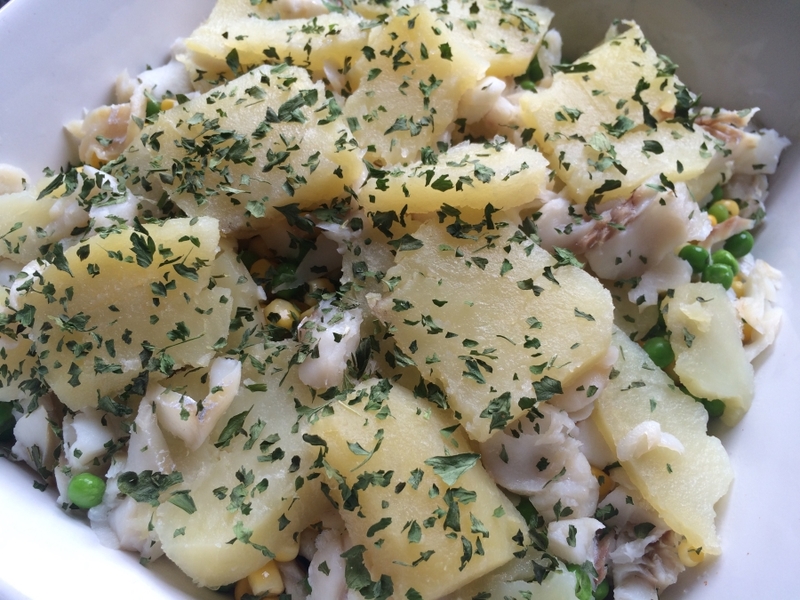 Layer the potato slices and then the peas/sweetcorn and finally the flaked cod (carefully checking for any rogue bones). 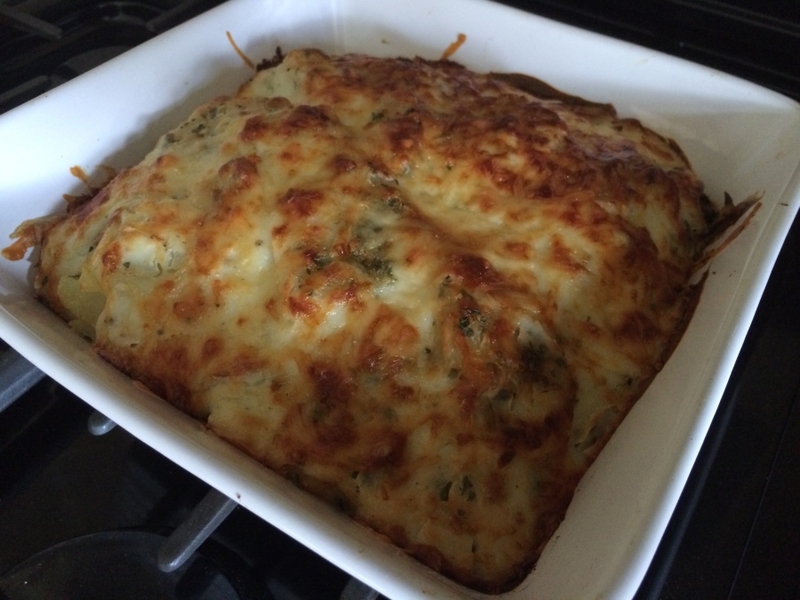 As you layer sprinkle over a little dried parsley each time and continue until all the ingredients are used. Finally add seasoning to the sauce by grinding in black pepper. Pour the sauce over the pie. 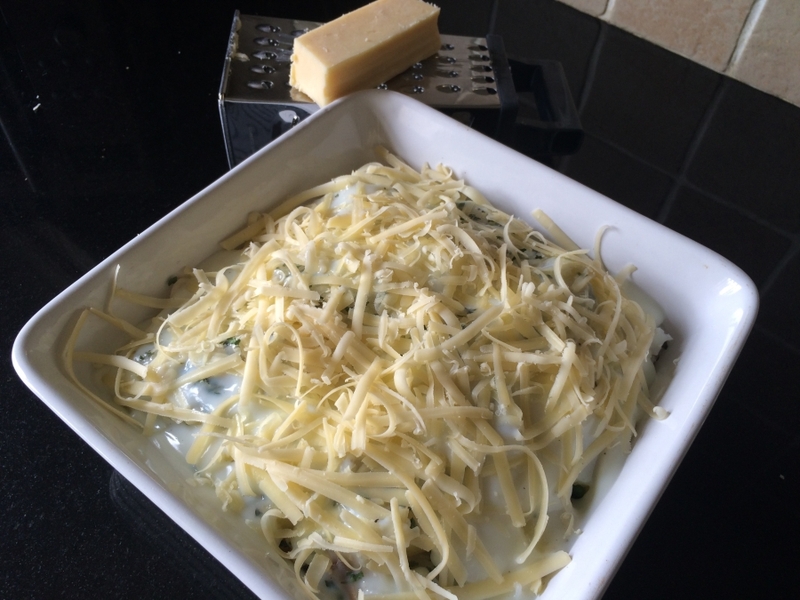 Top with as much, or as little, grated cheddar cheese as you like. Chill in a refrigerator until ready to bake, or return immediately to a moderate over for 25 minutes. If baking from chilled allow a further 10 minutes for cooking. Wow, this sounds easy and delicious!! !